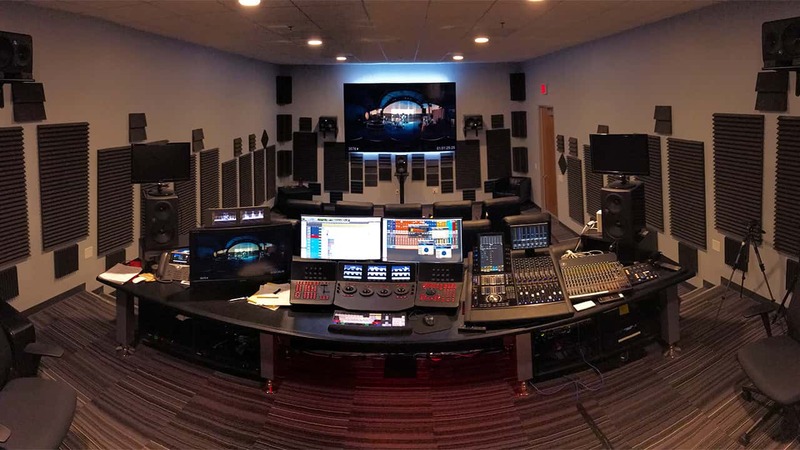 What do you do when you need to deliver the audio mix for Elton John’s farewell 360/VR project – and you don’t have access to your surround monitors? We asked Grammy-winning mix engineer Brian Yaskulka what he did in his hour of 360° need. You are about to enter another dimension. A dimension where you have no studio, no reference monitors – but you must mix some of Elton John's most iconic recordings using only headphones; and the final mixes will be presented to Sir Elton himself. This is the situation Grammy-winning mixing engineer Brian Yaskulka (Lisa Loeb, Andy Summers) found himself in when he was hired to deliver the mix for Elton John’s 360/VR video “Farewell Yellow Brick Road – The Legacy,” announcing the legend’s 2018 farewell tour. We asked Brian about the experience, and how the Nx Virtual Mix Room plugin helped save the day. Brian, tell us about this VR project: This was NOT your average, everyday mixing job. No, it wasn’t! The idea was to get you, the viewer, inside pivotal moments in Elton John’s career – his first show at Hollywood’s Troubadour Club in 1970, the famous 1975 Dodgers Stadium concert – and place you right there on stage alongside Elton. 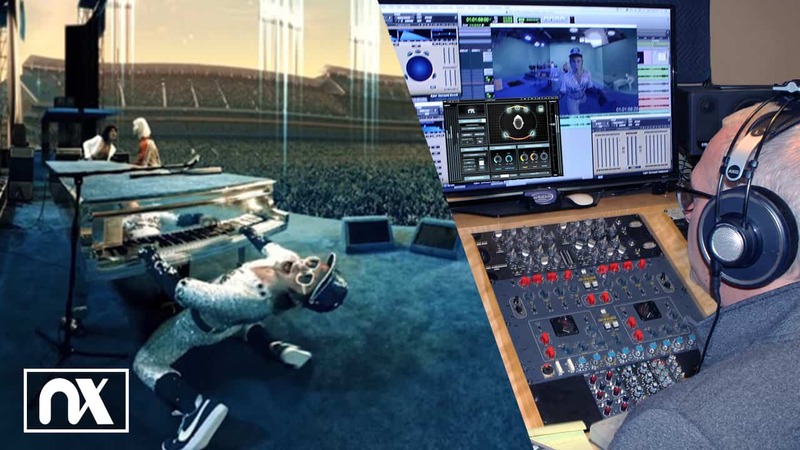 The creators at the production studio, Spinifex Group, recreated digital versions of a younger Elton using CGI, motion-capture technology tracking Elton’s face, and even a professional Elton impersonator to reproduce his ‘70s dance moves! The point of the audio mix was to put you right there with Elton and feel the excitement of these events, as well as create some moments of pure fantasy. So, for some scenes, I needed to create a feeling of total immersion in a live concert; for others, I needed an extra sense of space and depth. Well… [laughs] Here’s when the story gets crazy. When the Spinifex people needed a mix engineer for this project, my name came up, and before I knew it I was on board. The original plan was for me to do all the mixing for the Elton John project in the theater room at Spinifex. But due to some scheduling conflicts and timeline acceleration, it became necessary to work on the production at my own studio. There was one problem: I had recently relocated my studio to the iconic Sound City facility in Van Nuys, California. I was waiting for the new studio to be completed, so I was basically working out of boxes, and I didn’t have my usual 5.1 setup available! A mix engineer’s nightmare… What do you do? Well, I had heard good things about Nx technology for 3D audio on headphones so I thought I’d give it a try – nothing to lose. I had no viable monitoring facility, so I went ahead and used a pair of AKG K702 reference headphones, with the Nx Virtual Mix Room plugin and the Nx Head Tracker attached to the headphones. On the plugin, I just set the Room Ambience control at 15 and the front and rear speaker positions at 90 degrees to get what I felt was the right room and speaker setup simulation for me. I was planning to do a large part of the mix that way, then take it back to a 5.1 speaker setup and see how the 360/surround mix translated back to speakers. 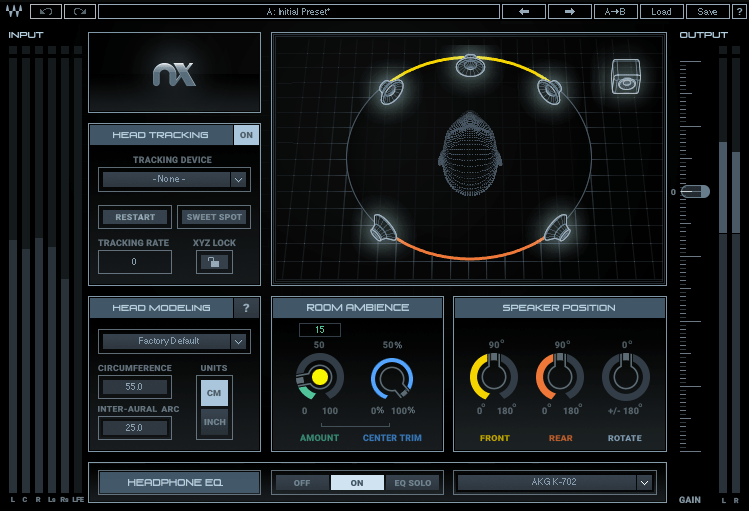 How much of the mix did you end up doing on headphones with Nx? 90% of the mixing was done on Nx and headphones only. 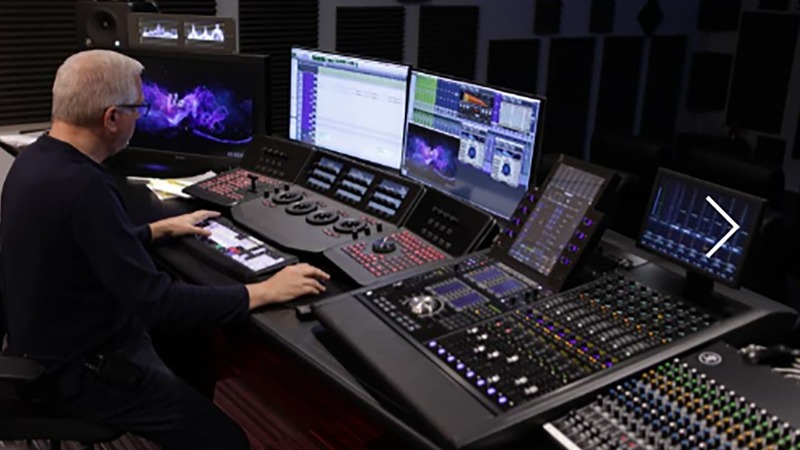 I worked on the 5.1 mix that way for a few days, then brought it to the Spinifex theater to present it to the team, not knowing how it would sound… And I was amazed. It sounded almost exactly the same in that acoustically magnificent theater as it did on my headphones with Nx. Everything – the localization, the spaciousness. All we had left to do were a few tweaks here and there. The room sessions were mainly the opportunity to work with the producers in order to dial in some sound design elements. The basic mix had already been taken care of on the headphones-plus-Nx setup. Let’s dial back a bit: How did you recreate the experience of being front row during these iconic Elton John performances? I used a set of Waves 5.1 surround plugins to pull off the balance and the spread in the surround sound design – the surround component of H-Reverb, the R360 Surround Reverb, the C360 Surround Compressor, the L360 Surround Limiter and the M360 Surround Manager & Mixdown. 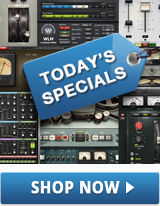 You used the stems from the original classic recordings, right? Yes. Quite an honor. I received digitally transferred non-processed stems of the original multi-track masters. I was very mindful that I had to treat these classics respectfully. It was amazing to look under the hood, and hear the raw tracks. What immediately struck me, was how great they sounded and how fantastic the performances were. There is a reason that they are classics and resonate with so many people. How did you take the viewer through space and time? I used the original mixes as a starting point, to get a sense of the balances and panning that they used, but then I remixed the songs according to the ambience of the visuals. For instance, for the opening scene that shows Elton’s debut at the Troubadour in 1970 performing “Your Song,” I needed to create a more intimate club vibe, leaving in vocal track plosives so it would sound more like a live performance. In the original recording, it was very orchestral-heavy; which would have seemed out of place with him performing solo at the piano. So the orchestra is still in this mix, just not as upfront as the original. After that, the video transitions to Elton’s legendary Dodgers Stadium concert with “Saturday Night’s Alright (for Fighting).” For that scene I had to create an outdoor concert sound setting for Elton and the band. I really wanted to bring up the crowd almost to the point of overtaking the music, in order to give the listener the sense of excitement that the audience was feeling at the time. Again, I went with the visual. There’s a quick shot of Elton at Dodgers Stadium where he plays a piano part, so at that point I brought up the level to match the visual. I was trying to achieve a sense of hyper-realism. Considering the fact that it was a relatively short presentation, we really wanted the listener to be immediately and completely immersed in this world. Other scenes, like “Rocket Man” and “Goodbye Yellow Brick Road,” were animated and more fantasy-like, so I mixed them accordingly, with an extra sense of space and depth. Did you research what gear was used in past recordings to take the sound to the future? Of course! This was a project aimed at celebrating Elton John’s music, not reinvent it. I researched the original recording process of all these songs and what technology was used at that time, and I applied the right plugins to recreate the sounds I was looking for. For example, on the vocal for “Your Song” I used the Waves C4 Multiband Compressor, the CLA-2A Compressor and the Waves DeEsser. On the piano – the Waves MV2, the Scheps 73 EQ and the PS22 Stereo Maker. For the vocals on “Saturday Night’s Alright (for Fighting)” I used the SSL G-Equalizer and the CLA-76 Compressor. On the vocals of “Rocket Man” and “Goodbye Yellow Brick Road” I used the F6 Dynamic EQ to dynamically control the vocal track, and again the CLA-2A. There was also some plugin magic other than the vintage recreation. When we matched the audio and the visuals in the theater room, everything worked flawlessly. But once the tech team did a run-through test with some of the VR headsets, they found they were having sync issues. That’s where the SoundShifter plugin came in. It was a split-second fix that needed to be made on the spot: we had to time-stretch the first scene by 100 ms. SoundShifter did it perfectly, no glitches, no artifacts. How did you keep your cool through all of this? Well, you know, I never took the customary route of coming up through the studio system – first runner, then assistant, and working one’s way up the ranks. Since I was a kid, I had been obsessed with the recording process and always wanted to make records. I started out with a Tascam 4-track cassette, from there to a Tascam 38½-inch 8-track, then to 16-track ADAT and eventually to Pro Tools. I was a singer/songwriter, played guitar and learned and developed my mixing chops by working on my own. I learned early on that it’s WAY different to mix what you have recorded, engineered and produced yourself, as opposed to mixing raw tracks from bands and other producers – whether it’s a local band, or a Grammy-winning album like Lisa Loeb’s Feel What U Feel that I had the pleasure of mixing. Doing all that, you learn to solve problems on your own. I’m just glad Waves Nx was there to help me solve this particular one!